We have good news for french fry fanatics in Fishtown. Shoo Fry, the poutine shop in Rittenhouse, will open its second location at 200 E. Girard Ave. on Thursday, April 20. The eatery will open in time for lunch — 11 a.m. — according to Shoo Fry's Facebook page. On the menu will be the same poutines, sliders and Little Baby's Ice Cream shakes at the Rittenhouse location. 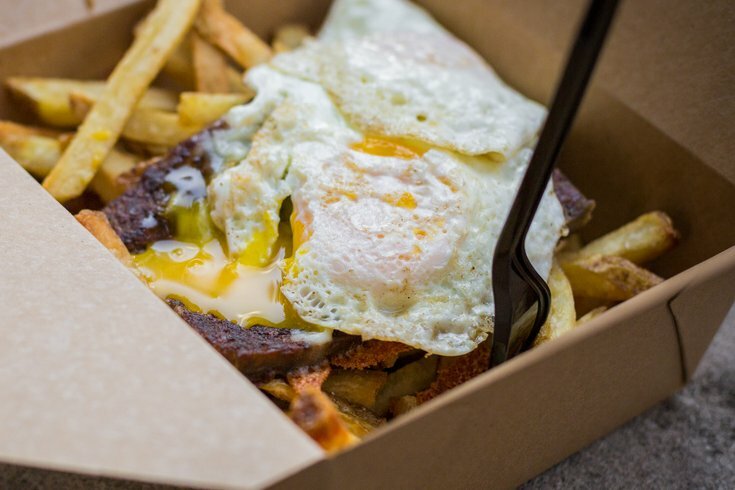 There are fries loaded with scrapple, eggs and cheese; fries loaded with chili, wiz and sour cream; and more concoctions of loaded fries, ranging from $7-$8. Shakes will also be $7-$8, while sliders are $3 each. Shoo Fry Fishtown's hours of operation will be 11 a.m. to 9 p.m. Monday through Thursday and 11 a.m. to 3 a.m. on Friday through Saturday.